Fo-ti (Polygonum multiflorum) has a rich history as a fertility aid. Generally, it is used to treat male infertility, but it has been found to be an excellent herb for overall health and longevity. Fo-ti is also known as He Shou Wu, Ho Shou Wu, Fleece flower and a variety of other names depending the country. He Shou Wu translates as “black haired Mr. He”. Legend tells of a man named Mr. He who was ill and unable to father children. He came upon a plant; upon closer inspection, he noticed that during the night the vines of the plant intermingled. He thought that this plant might help him have the same interaction with his wife. He consumed the roots of the plant for many years, his hair turned from grey to black again, his health was restored, and he went on to father children. Fo-ti is a traditional adaptogen herb used in China, Japan, Vietnam, Taiwan and Korea. It has gained popularity in the United States for its superb healing and restorative properties. Three words are synonymous with this plant, “vitality”, “vigor” and “longevity”. It has a long history of use for aiding in all kinds of debilitating conditions. For fertility, Fo-ti has been traditionally used for men who have low libido, low sperm count, erectile dysfunction, and poor sperm motility. For enhanced action, TCM practitioners generally combine Fo-ti with Ashwagandha, Morinda Rt. and suo yang (Cynomorium songaricum). For thousands of years, people have said that Fo-ti gives them an uplifting feeling. Until now no one could understand for sure why, at least from a scientific standpoint. Research has shown that Fo-ti has a potent action as an MAOI (Monoamine oxidase inhibitor). MAOs are enzymes that break down a series of chemicals in our bodies. MAOs are split into two groups; MAO-A and MAO-B. Animal studies have shown Fo-ti to be a MAO-B inhibitor. One of the main chemicals in our bodies that is broken down by MAOs is dopamine. Dopamine is a neurotransmitter that plays a role in our pleasure, wellbeing, movement, and emotional responses. Dopamine may decline due to age, especially if you are over 40 or have chronic stress, poor dietary habits, and unhealthy lifestyle habits. As dopamine is reduced by MAOs, natural vitality in the body may decline, including sexual function and hormone release. Fo-ti is one of the only herbs to perform as a MAO-B inhibitor. Fo-ti’s action as a MAO-B inhibitor may help prevent low levels of dopamine. Low levels of dopamine leave the door open for sexual dysfunction, mental illness, emotional, and mental stress. MAO-B inhibition from use of Fo-ti was shown to be over 80%. 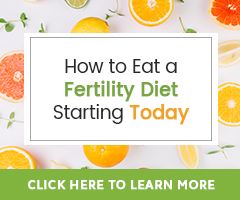 Studies show a great potential for use of Fo-ti for people with fertility issues associated with advanced age (40+), high stress, adrenal fatigue, POF, poor egg health, low sperm count and poor sperm health. Tincture: 30-40 drops, 3 times a day. Decoction of dried cured root: 1-2 tsp. dried rt. to 10 oz. water. Bring to a boil, lower heat, cover and simmer for 15-20 minutes. Remove from heat, steep for an additional 40 minutes. 4 oz. of the decoction, 3 times a day. Do not decoct in a metal pot. Pyrex is preferred. Quality is very important when purchasing this herb! Be sure you are purchasing this herb from a qualified TCM practitioner or reputable herbal company! Caution: Do not use with acetaminophen, tetracycline, statin or hepatotoxic medications. Can you tell me if Fo-To Root increases progesterone production? No, Fo-ti isn’t known to increase progesterone production. Consider learning more about Vitex agnus-castus or Vitex, and natural progesterone cream. 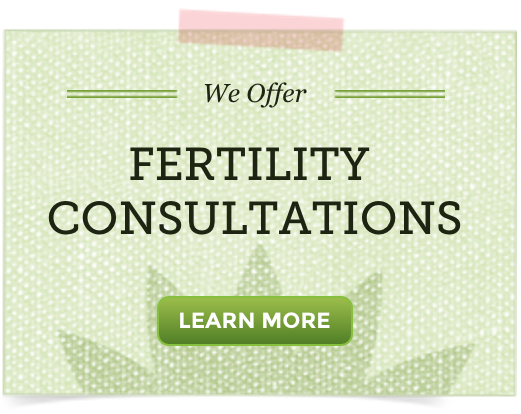 Our Progesterone Fertility Guide shares more on each. i am manoj 40 years old from india.sir i have white hair and 4 days back i started taking fo-ti from nowfoods usa .sir as i have studied on internet that fo-ti can cause liver damage,hepatitis ,jaundice so i want to confirm that does fo-ti cause all these diseases so plz send me detail study on fo-ti and its uses and side effects .how many capsules should i take in day and can we take all the year in summer also.reply now. At the very end of this guide we share the resources the author used for the information we share here. To find studies, Google Scholar is a great place to start. To my knowledge Ho Shu Wu or Fo Ti should always be prepared with black soybeans. A very reputable herb source, Mountain Rose Herbs, shares this, “Chinese tradition teaches that the herb should be used by itself or cured in the water used to cook black soybeans for this purpose. The curing of Fo-Ti has been found to increase the phosphates (presumably lecithin) by close to 30%, also increasing the sugar content. The production of traditional Fo-Ti root according to traditional Chinese medicine is revered and is keep as a close secret, however the basic process involves curing raw Fo-Ti roots in a soup of black soybean sauce.” This is to decrease or remove any potential liver-harming potential of this herb. All that said, if you are concerned, please work with an herbalist near you familiar with Fo-Ti, someone who can guide you on the best herbs for your needs. You should always check that the Ho Show Wu was prepared with Black Beans. The black beans take out the bad stuff that causes liver issues. I have not read the studies this article refers to, therefore do not know the study subjects (human or animal… animal is my guess), do not know what preparations were given to demonstrate liver toxicity, if it was whole Fo-ti or just one constituent, combined with anything else, or in what dose. Typically in studies that shown plant toxicity, large, concentrated doses are given long term. The doses are above and beyond the dose a qualified herbalist would suggest or use and often used longer. Can I take Ho Shu Wu pregnant? I have heard its fine but also read they say to not take . Thank you ! It is best to work one on one with an herbalist if wishing to use herbs in pregnancy. We can not suggest doing so without guidance given there is often little research proving them safe and because we are not your primary healthcare practitioner. I notice this should not be taken with medications that tax the liver. Does fo ti also tax the liver? Would it be wise to take a liver cleanser, such as milk thistle, with it? Fo-Ti is known to nourish the liver, not tax it. While Milk Thistle is also known to support liver health and provide fertility benefits, it is not to my knowledge necessary to take it with Fo-Ti. I have read that “raw” Fo-Ti is not so beneficial as “cured” Fo-Ti, and might cause diarrhea. Can you comment? We suggest using dried Fo-Ti, which in the process of drying is by nature “cured”. Personally, I would head the advice to avoid raw Fo-ti if there is any chance it could lead to diarrhea. Would it be unsafe to use this product if one has uterine fibroids? I understand that fo-ti may have estrogen-like properties and possible encourage fibroid growth. While Fo-Ti has been found to have a variety of fertility health benefits, it may not be the first herb to go to when supporting the body in dealing with uterine fibroids. Consider referring to our article The Best Natural Remedies for Uterine Fibroids… for guidance.